So this happened last week. 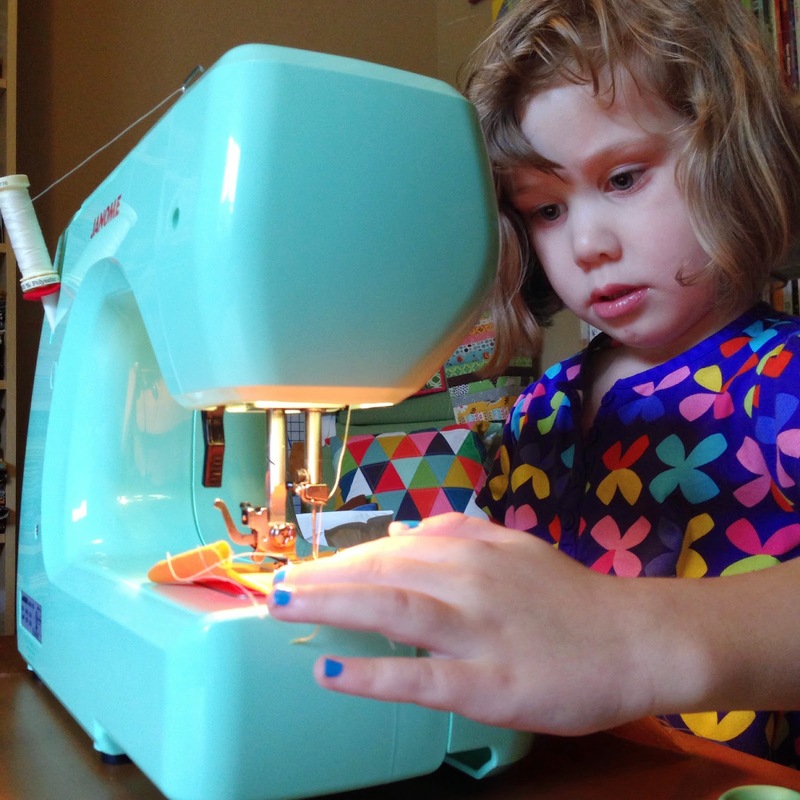 My child had been *begging* me for a sewing lesson, on a real sewing machine (we had a brief terrible experience with a toy machine, so she really knows the difference) and I finally felt like she was ready. 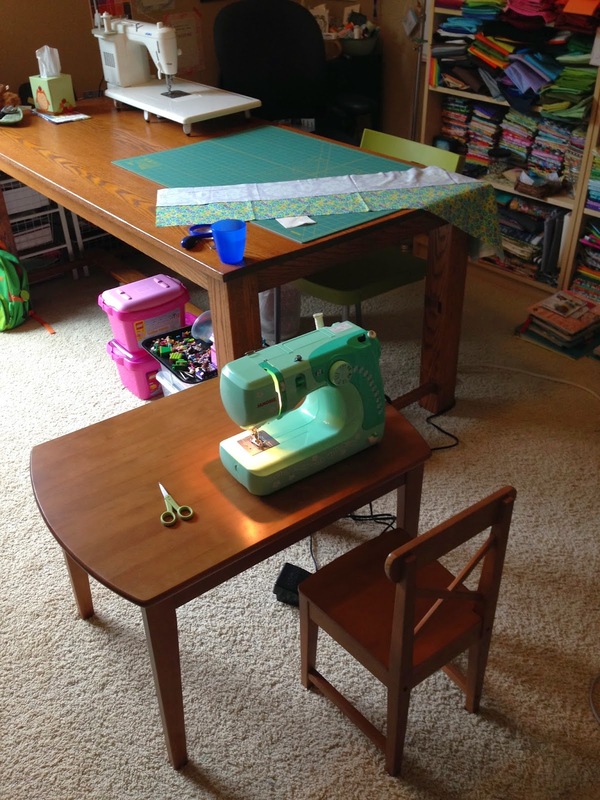 So we set up her little table with the Janome Hello Kitty sewing machine and got to work. We practiced on some scraps so she could get a feel for the foot pedal and I sat next to her and helped her guide the fabric (when she let me). She seemed like a natural but she does come from a family with many generations of sewing women. The most important thing to me was that she had fun and felt like it was her project, along with learning to sew safely and we met all those goals! She picked out all the fabrics herself and I cut them into strips that were 6", 9" and 12" x WOF and then she laid them out and rearranged them to her heart's content. She sewed all the strips together with a 1/2" seam allowance. Then she went for an Anna Maria Horner flannel for the back and because she's my only child and I love her dearly I let her have it. I sandwiched it, she helped sew around the edges and then we turned it inside out. I topstitched around the edge and added quilting along the ditches so the batting doesn't shift and voila, her first quilt! It finished at 39"x46" - perfect size for her to snuggle under on the couch. She was genuinely thrilled with herself and the quilt - which of course made my mama heart happy. She feels like she "made" it an she did and I love helping start her on her own maker's journey. It's going to be awesome to watch. awesome! can't wait to see what she makes next! Really cute, can I ask how the Hello Kitty sewed and how old your daughter is? My daughter has been begging to sew too, but...... well you know. OH she is so adorable -- I love that machine, it's my traveling machine. It's fabulous! Congrats on being an amazing teacher to an equally awesome student! I think this is beyond precious! Good for you for giving in and getting her going! What a wonderful journey she is going to have!! So cute. The smile says it all! 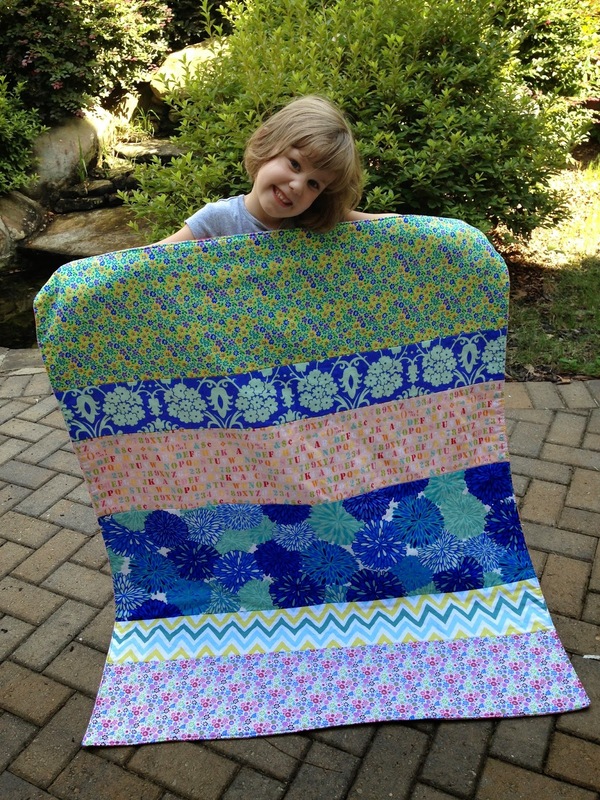 Congratulations on your lovely finish and welcome to the world of quilting little lady! Gorgeous! So lovely, and a great looking quilt too! So cool! 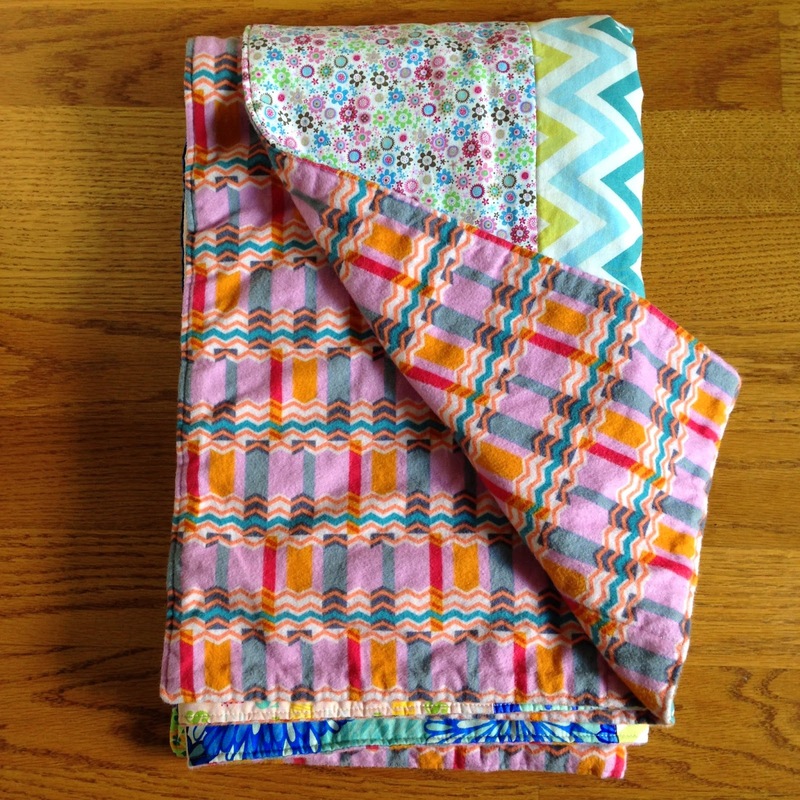 She did a fantastic job picking her fabrics and sewing it together. What a fun experience that must have been for the both of you! Love this! Reminds me of my first sewing projects with my grandmas.